It's a little dicey in the winter,but I have learned how to plow my way out! 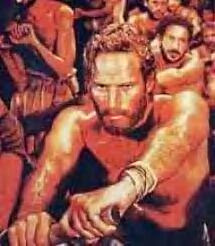 I CANNOT BELIEVE THAT IT HAS BEEN 49 YEARS SINCE MY FAVORITE ALL TIME BEST MOVIE "BEN-HUR" OPENED IN THE THEATRES!!!!! CHARLTON HESTON- YOU WERE THE BEST! TOO BAD THEY DON'T MAKE THEM LIKE YOU ANY MORE. Hyde and I have been together for thirty-seven years! My how the time has flown by! We have gone from 2 to 16 of us! It has been a long and winding road. But, for the most part it has been a joyful journey.